All BVA products carry a LIFETIME WARRANTY. BVA products are warranted to be free of defects in materials and workmanship. Any BVA product that does not conform to specification will be repaired or credited (at BVA’s option) at BVA’s expense for the life of the product. Simply contact BVA for disposition of this warranty. This warranty does not cover ordinary wear and tear, abuse, misuse, alteration, or use of improper fluids or maintenance as determined by BVA and its authorized service dealers. 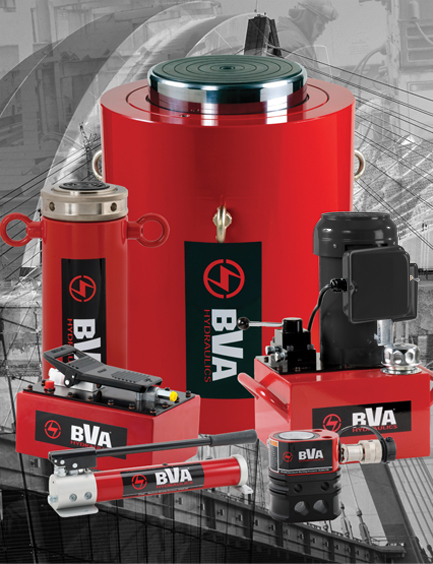 All electric motors, gas engines, batteries and other parts or materials sold with or part of BVA products but that are separately warranted by another manufacturer are covered by that manufacturer’s warranty and not the BVA Lifetime Warranty. BVA shall not be liable for consequential or incidental damage or loss whatsoever.